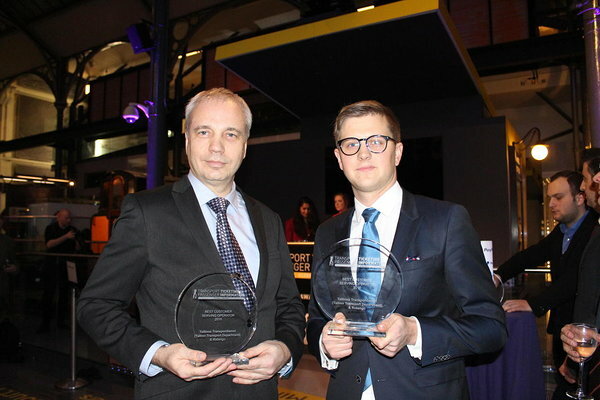 Rapidly developing Nordic public transport information technology provider Ridango was awarded first prize at the prestigious Transport Ticketing & Passenger Information Global Awards competition in the Best Customer Serving Operator category for its Park&Ride solution implemented in Tallinn with the Tallinn Transport Department. Ridango’s new ticketing solution in the city of Tartu was nominated for Best Smart Card Ticketing Service. Ridango’s CEO Erki Lipre said that peer recognition is of high value, particularly on a global scale in competition with prominent industry leaders. “Tallinn Transport Department has been a very innovative client. We have jointly perfected the ticketing system in Tallinn, expanded its areas of use and offered more and more comfortable solutions to the passengers,” noted Lipre. Ridango’s public transport solutions have been implemented in major Estonian towns and also in Sweden. “The ticketing and passenger information trade show in London has annually recognised and celebrated the organisations which have worked tirelessly to build and deploy successful smart ticketing programmes across Europe, but our collective goal is to get more people to use public transport,” added Lipre. Tallinn Transport Department’s ticketing specialist Tiit Laiksoo said that Ridango has developed an innovative ticketing system which allows itself to be extended on to other platforms and areas as well. “Ridango has successfully extended the use of our ticketing system to other areas of interest to the city, such as our Park&Ride solution,” said Laiksoo. What the judges said: Tallinn have introduced a great public transport incentivisation scheme by providing free park-and-ride parking if the passenger uses public transport that day. The accountbased smartcard park and ride solution has driven impressive growth in usage from 1300 to 3200 vehicles in 9 months. The programme has shown real contribution in decreasing pollution and car ridership in the city centre. A great example of integration between public and private transport that is popularly accepted by the public! Ridango is a fast-growing technology company in the field of transit ticketing, payments and real-time information solutions. Ridango delivers turnkey projects for real-time information and account-based ticketing solutions to transportation authorities and corporations, acting as a one-stop shop for any transport operator. Ridango was founded in Tallinn, Estonia in 2005. The company has successfully delivered account based public transport ticketing and monitoring projects to municipalities and private operators in Nordic countries.